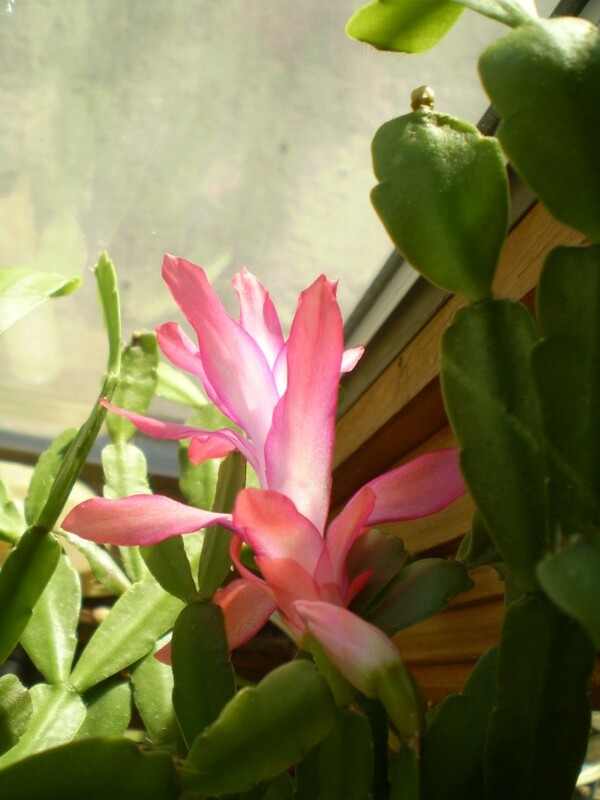 The first time I saw my mother’s Christmas cactus, it was standing in a pot beside her breezeway door. And she told me the story about it–how her friend had given her a start of the plant. The friend also told her she should keep the plant outside during the warm months and bring it inside in the fall. “That’s the only way it will bloom,” the friend told her. 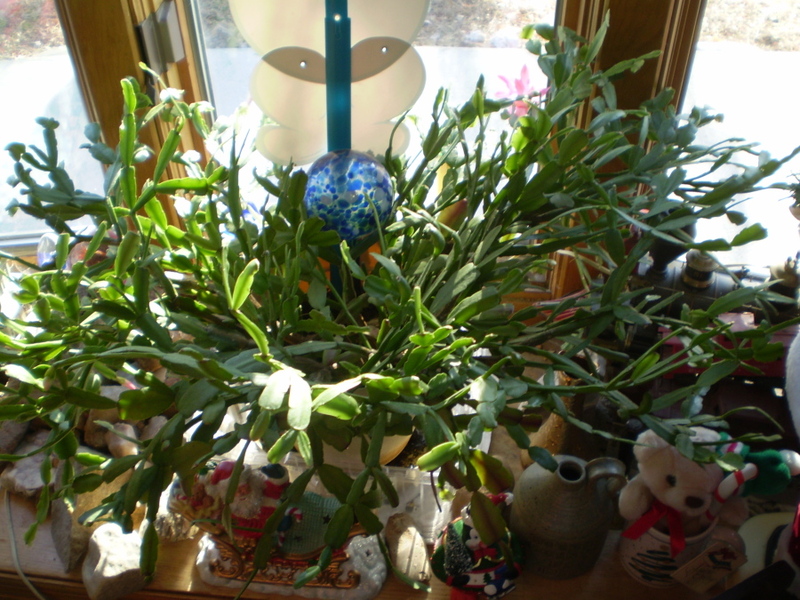 So Mom followed her friend’s instructions, and the plant bloomed beautifully over the holiday season. Well, I guess so, I thought. I recalled all my episodes with the English Ivy I carried in my wedding bouquet. Mom rescued the sprig–rooted it–planted it–and had it thriving. The start she gave me did well while we were living in Missouri, but it failed miserably in ultra-dry Colorado. 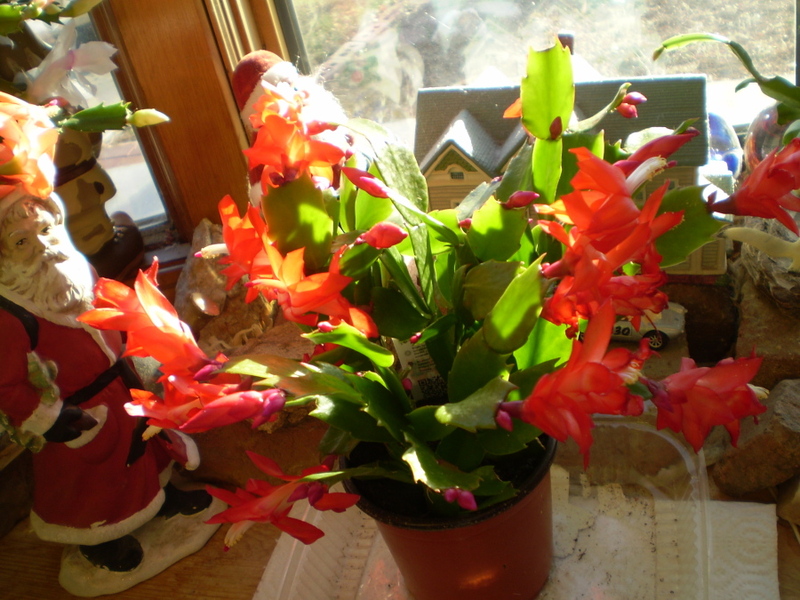 But I would be willing to give the Christmas cactus a try. And when we visited Iowa the following May, Mom gave me my start of the plant. I’ve enjoyed my mother’s Christmas plant over the years. There have been a few calamities, however. One summer night about three years ago, I was awakened with a loud noise. The next morning, I found my plant all over the yard–the result of a battle between two cats who included the plant in their chaos. I had to reroot it and repot it. Amazingly, the plant survived. But after that experience, I kept it inside the house in the basement during those warm months. The plant didn’t like the basement at all. It did not bloom last Christmas. So now, it is outside once again from spring to fall. I also learned how to fertilize it. And this year, it is loaded with buds that will open by Christmas. Since acquiring my mother’s plant, I have added two additional Christmas cacti to the collection. 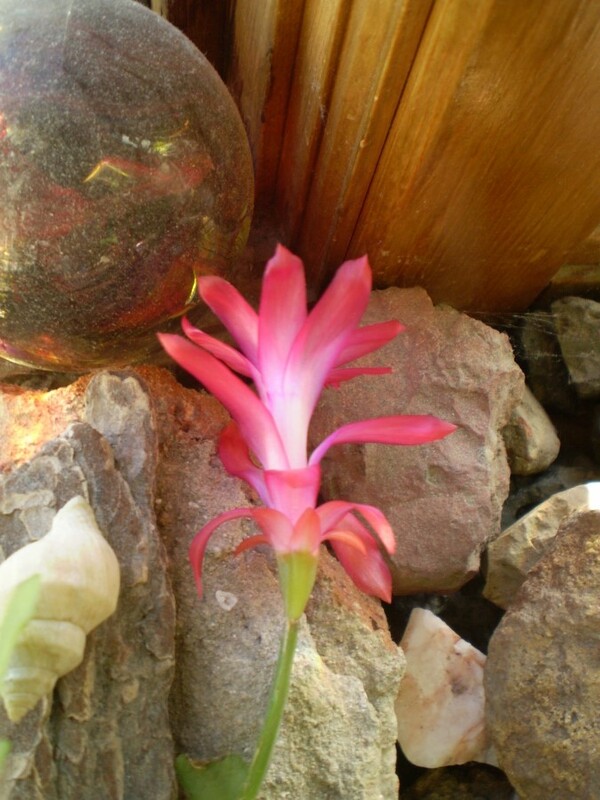 Howard gave me one about three years ago–a multi-colored variety. He found it in the grocery store–the last one on the shelf. They sold it to him for a dollar because they thought it wouldn’t live very long. He brought it home to me, and I worked my magic with it. It only produced white flowers previously. This year, it also began producing a coral flower with the white and is so full and beautiful. Then yesterday I added my third cactus plant. Our super market had a variety of colors on sale, and Howard bought me a red one. I will work my magic with it this spring. 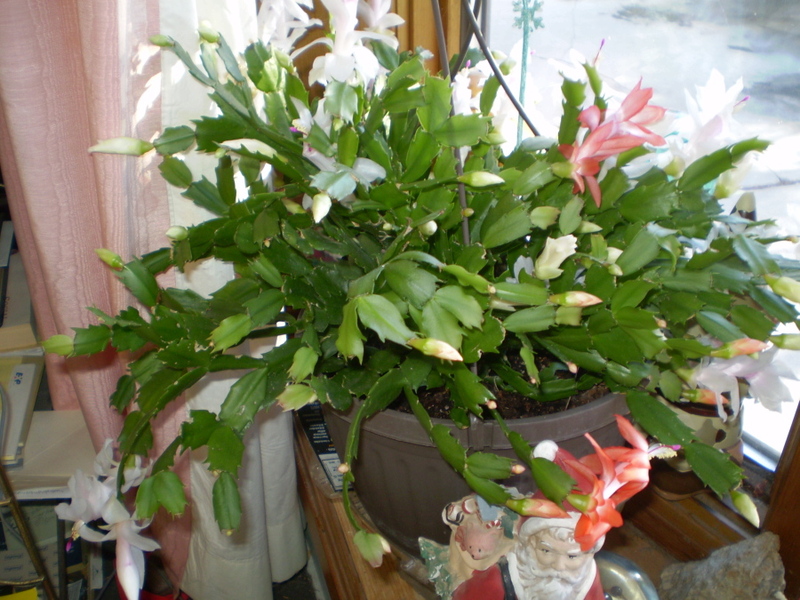 My mother received her start of the original Christmas cactus years ago in the 1980s. We moved to Colorado in 1980, so I probably received my start from her in the late 1980s. I know I have had this plant a long time. And look at it now! My mother must be smiling! I came across your blog after finding it in ‘Jane’s Gang’ on fb. I inherited my dad’s plant when he died 7 years ago. It was never kept outside- well you wouldn’t dare do that here in Scotland, but never the less it bloomed year after year around Christmas. It bloomed again beautifully about 2 weeks before Christmas 2014, and I went off to spend the festive season with my family. When I came back, I was devastated to find that two ‘limbs’ had completely broken off…… no cats responsible here! They seem to have gone from bearing 15/16 blooms to being slightly ‘woody’ from the base of the limb upwards. Whether this caused them to weaken and break off I’ve no idea; but no idea what to do with them either. Any ideas please? What would cause an apparently healthy and flowering plant to collapse and its limbs to break right off? I’m a complete amateur with plants so any advice is appreciated. Wow–I haven’t had my limbs break off. My mother’s plant was a huge thing when I brought it from Iowa to Colorado. I originally gave it to my daughter-in-law. She kept it outside. A month or so later when I saw it, the plant was all dry and looked sick. So I brought it back to my house and nursed it back to health. It was huge and eventually was too big to carry in and out of the house. Plus I had to rescue my offspring from the plant. Two cats got into a war in the back yard and spread my plant all over the yard. So, I combined the two plants in a new pot and discarded the remainder. I used fresh potting soil. Then I put it in my front window where it would get a lot of sun. It did just fine for several years. 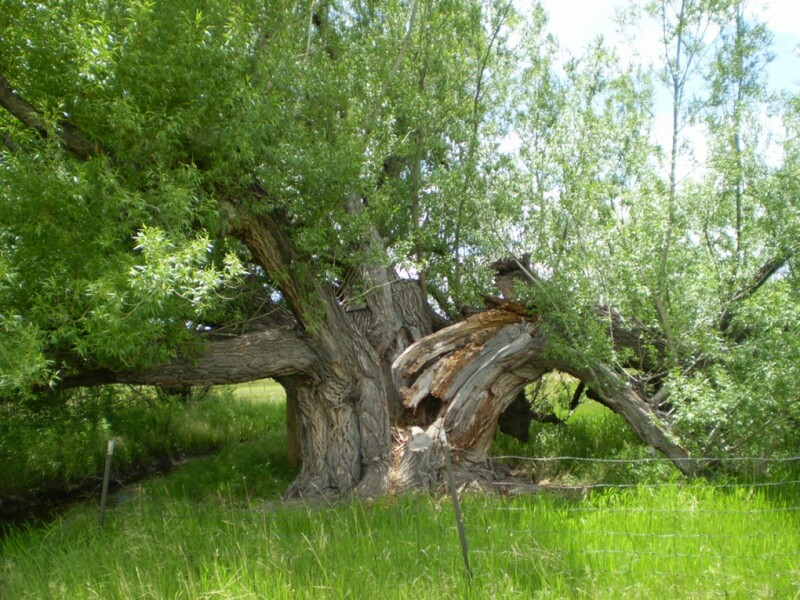 Then a couple of years ago, I noticed it was getting woody, and it didn’t bloom at all last year. Back to the drawing board. I discovered I needed to fertilize it monthly–something I had never done before. So I fed it once a month using BLOOM plant fertilizer (the only thing I had on hand). And I kept it outside this summer. That plant is covered with blooms at the moment. The other two are doing fine as well. I will probably change the dirt on the big one this spring. For now, it seems very happy. I know they make a cactus fertilizer, but BLOOM seems to work magic with my trio.